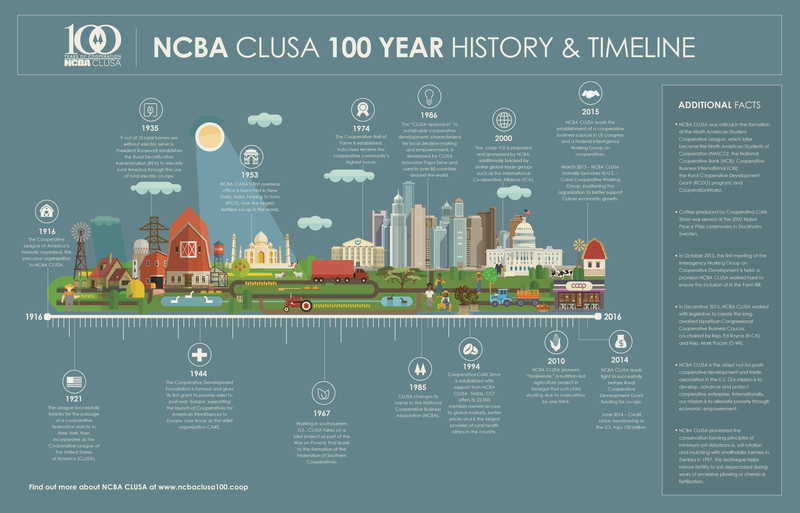 NCBA CLUSA celebrates 100 years of cooperation! Hear from a few of our members and supporters as they wish us happy 100 and let us know how important our work is to the national cooperative movement. One enduring, fundamental, universal truth has shaped the world throughout the ages: We can accomplish more by cooperating and working together than we can by working alone. For 100 years the National Cooperative Business Association CLUSA International (NCBA CLUSA) has focused on protecting, promoting and advancing the cooperative business model, which places people before profit, community before industry, and principles before the bottom line. This truth is the basis for a remarkably powerful force in our modern lives… a force of immeasurable impact that touches our lives and shapes our world every day. Cooperation is not a virtuous goal in and of itself; it is a means to an end — a better end. Cooperation is a force that saves countless lives and makes even more lives more affordable, safer, healthier, more secure and more worth living. 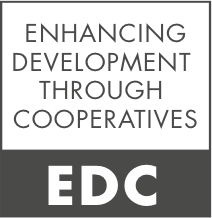 Cooperation offers improved society, better towns and cities, better technology, more cost-effective manufacturing, higher productivity, smarter problem-solving, wiser purchasing, more-efficient use of resources, more-prudent financing, safer investing, reduced risk, improved health, and greater access to information, knowledge, and skills. 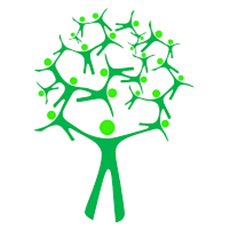 Cooperation brings more opportunities and advantages to a greater number of people. Cooperatives build a better world.